This solo exhibition includes over 50 exquisite gelatin silver prints hand printed by the artist. 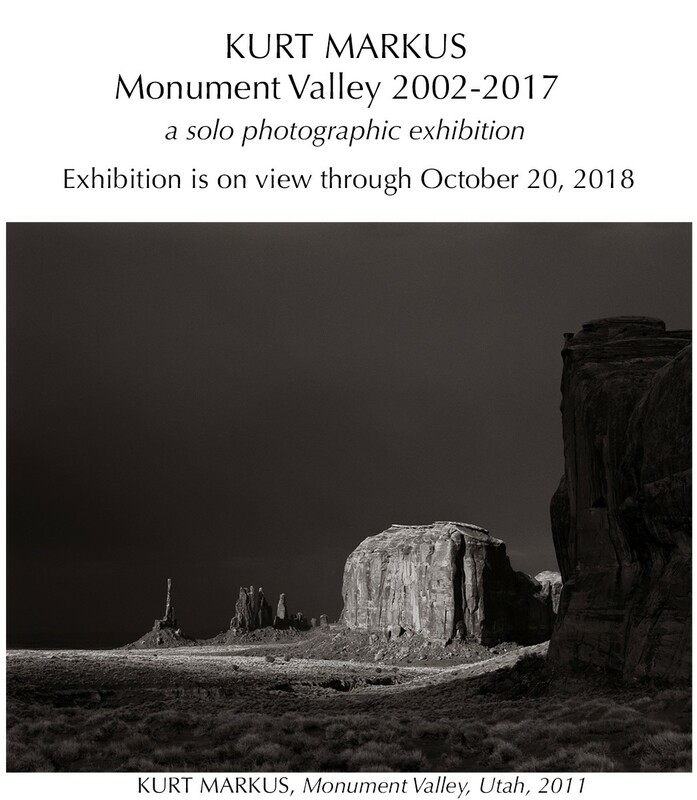 The exhibition is a fifteen year photographic study not only of Monument Valley itself but it also demonstrates the artist’s unique eye for patience in the art of seeing. 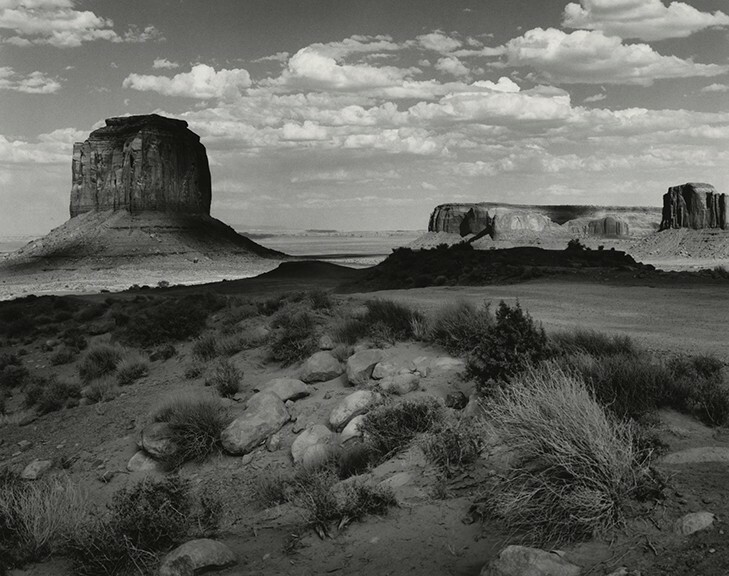 KURT MARKUS, Monument Valley, 2011, 20×25″, archival pigment ink print, edition of 25. Monument Valley is located at the four corners region spanning Utah and Arizona on the Navajo Nation Reservation. Tse’Bii’Ndzisgaii, the Navajo name for Monument Valley meaning ‘clearing among the rock’, spans five square miles with fragile pinnacles of rock of sandstone that tower up to 1,000 feet. For hundreds of years, the Navajo have raised livestock and farmed small quantities of crops in the valley. Not just a place of habitation and livelihood, Monument Valley has significant meaning to the many Navajo who took refuge in the valley when forced out of Canyon De Chelly by the U.S. Army during the “Long Walk.” An 1868 treaty allowed their return to their ancestral homeland and established the Navajo Reservation. Other parts of Monument Valley have been added to the Navajo Reservation over time. Monument Valley became popular with Hollywood when John Ford’s first of many movies, Stagecoach, was shot there in 1938, starring John Wayne, and making him a star, as well as putting Westerns in a respected film genre. Monument Valley is the one place that will always be there for me. No matter the comings and goings of the world’s players, Monument Valley persists, in its own and uniquely quirkiness, delighting me, renewing me, challenging me, simply carving out pieces of my heart, for safe keeping. Thank you, Navajo Nation, for making Monument Valley what it is, without pretense or visible intent to modernize your sacred land. May that Wild West rocky road that drops down into the valley serve as the gateway to something more spiritual, a descent into another time. Download the Kurt Markus – Obscura Gallery Press Release here.